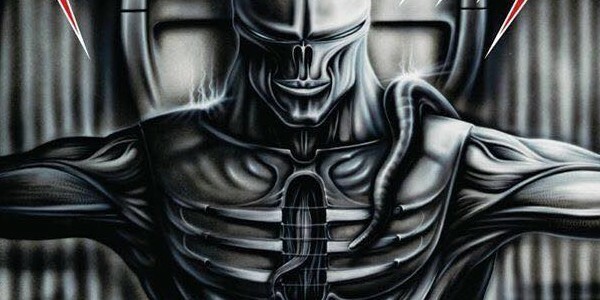 Home » Features » 6 MORE Of The Most Mind-Blowing Technical Thrash Albums Ever Recorded! Things are about to get......TECHNICAL!! To that end, Worship Metal has selected 6 MORE of the Most Mind-Blowing Technical Thrash Albums Ever Recorded for your delectation. Be sure to check out the first in this series, 6 Of The Most Mind-Blowing Technical Thrash Albums Ever Recorded …..if you haven’t already!! Aftermath may have first turned heads with the full-throttle, thrash assault, of their speed-of-light demo Killing The Future but it’s their only full length album to date that showcased this undervalued bands full potential and proved to be a total reinvention of their sound. Frankly, Eyes Of Tomorrow was technical/progressive thrash incarnate and its off kilter rhythms and mind-boggling complexity jostled with infectious melody, ingenious hooks and heads-down thrashing. Creatively eccentric and filled with fluid leads, accomplished solos and dark ambience, the incredible technicality and progressive nature of Eyes Of Tomorrow remains clear for all to hear. 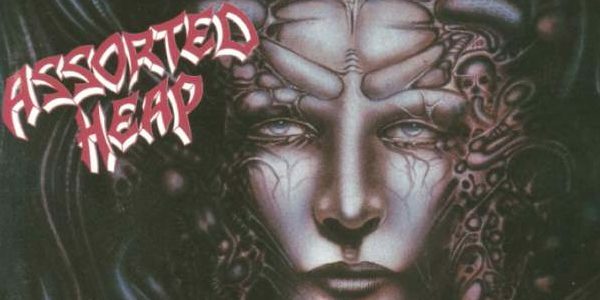 After the likes of Heathen, Anacrusis and Coroner had given up the ghost, it was down to Aftermath to carry technical/progressive thrash into the mid 90’s! Anacrusis’ progression from odd-ball thrashers on their Suffering Hour debut, to the technical/progressive metal majesty of Manic Impressions – and its equally accomplished follow-up Screams And Whispers – has seldom been matched and yet this most unique band rarely receive the recognition they deserve. A study of mental anguish and deep depression counteracts it’s bleak subject matter with a unique sound both complex and dynamic and aggressive yet delicate. Gems such as “Something Real” and “Paint A Picture” paint an extremely vivid picture of the wealth of ideas Anacrusis seemed to hold in abundance. This album may sound clinically detached at times but its discordant riffs, schizophrenic vocals and intricate bass lines smother the listener in a dry, arid atmosphere unique only to Anacrusis. Strangely addictable, Manic Impressions has retained its unique charms 28 years on. Hitting the tech/prog ramp at high speed, Assorted Heap finessed their already impressive sound (1991’s far more aggressive The Experience Of Horror is also well worth checking out!) and delivered an unsung classic of technically proficient, progressively-minded thrash; the kind of calling card that should have seen them attain more than mere ‘cult’ status. Transcending genre trappings with ease, Assorted Heap mirrored the wholesale changes and ‘anything is possible’ mentality of Sarcofago circa The Laws Of Scourge, ultimately delivering an album that lived and died by its palpable atmosphere and unique, often ornate, clarity of sound. Death metal-esque vocals don’t detract from the thrashing – nor the sheer breadth of ideas – as Mindwaves proves itself to be a distinctive moment in technical thrash….German or otherwise! 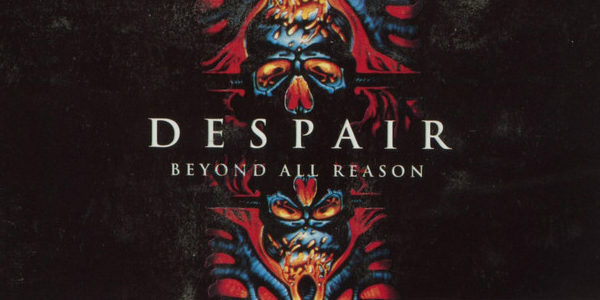 Sticking with Germany, technical German thrash doesn’t come much better than Beyond All Reason, the 3rd album from Despair and a milestone of the genre! Superlatives come thick and fast when describing this unsung classic with Despair shredding with maximum intensity one minute, delivering keyboard-laden atmospherics the next and delivering nothing but virtuoso guitar work throughout. In fact, it’s a crime that Beyond All Reason isn’t discussed with nearly as much enthusiasm as it should. This is a staggering piece of work, dazzlingly complex and rife with an advanced sense of barrelling chord progressions and off-kilter time changes. There was something in the water in Germany during the late 80’s and early 90’s and Despair were the equal of Deathrow, Mekong Delta, Sieges Even, Vendetta and their ilk! This 1990 follow-up to Forbidden’s iconic debut found these San Franciscans evolving into a true technical tyrannosaur of earth-shaking proportions! Boasting stronger songwriting and tighter performances, Forbidden upped both the technicality and the melody with Twisted Into Form and created a second-wave thrash classic in the process. With ‘catchy’ choruses cosying up next to the deftly handled guitar work of ‘new boy’ Tim Calvert and band stalwart Craig Locicero, Forbidden’s true power lay in Russ Anderson’s soaring vocals (the lungs on the lad!) and a foreboding atmosphere which informs each and every majestical track. 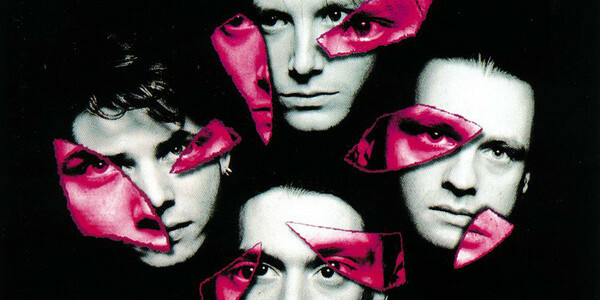 An album which can still be considered a benchmark of speed, melody and technicality, Twisted Into Form sounds as fresh and exciting today as it did nearly 30 years ago! Sadus, one of the most forward-thinking, ahead of the curve, extreme metal bands on the planet often find themselves consigned to the also-ran pile when, in actuality, they were leading the charge! Pioneers of extremity, Sadus have been rightfully credited with inspiring technical death metal, the second wave of thrash and even black metal and were so ahead of their time they left the majority of thrashers speechless. In 1993, and despite thrash faltering in the face of death metal, Sadus were firing on all cylinders and A Vision Of Misery was an instantaneous reminder that thrash (with death ‘elements’, of course) still had a part to play in moving metal ever-onward. Steve Di Giorgio’s Rickenbacker was as elastic as ever – stepping up to practically take the lead on the intimate(!) “Echoes Of Forever” – while the ferocious flurry of riffs peeled off by Darren Travis & Rob Moore were insanely complex yet always memorable; a feat precious few bands could ever attempt to emulate. Progressive, technical, brutal and unique, Sadus have always been an awe-inspiring proposition and A Vison Of Misery remains a breath-snatching masterpiece. The next chapter in this series is already in the works! However, that shouldn’t stop you from adding your favourite technical thrash albums in the comments below! 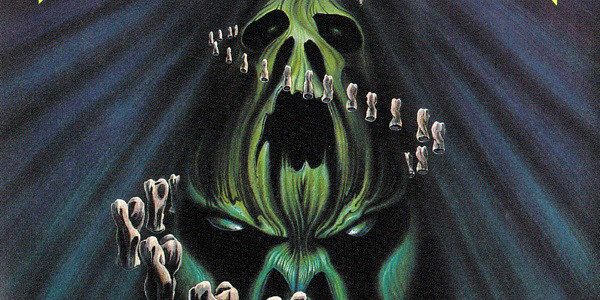 6 Comments on 6 MORE Of The Most Mind-Blowing Technical Thrash Albums Ever Recorded! Forced Entry – As Above So Below, definitely had a lot of potential, they just didn’t have enough of the status to go beyond the PNW. Brad Hull should be a name people in the thrash scene knew. “Voivod – Dimension Hatröss” must be at the top of the list of a Mind-Blowing Technical Thrash Albums. “Destruction – release from agony” should also be considered.